Apple seems ready to introduce the third generation Apple Watch this year, and if the reports are true, we might finally see the new Apple Watch Series 3 by the second half of 2017. 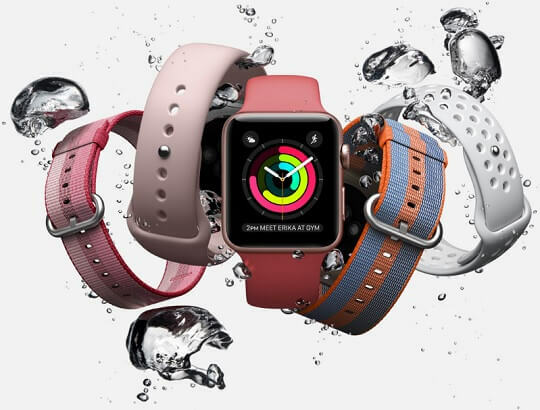 Orders of the Apple Watch are currently being handled by Taiwan-based ODM Quanta Computer, and the company is expected to continue manufacturing the upcoming next-generation Apple Watch. Likewise, Compal Electronics is said to have also entered the supply chain for the Apple Watch and will be partially producing the existing second generation Apple Watch, alongside Quanta. The company will reportedly begin shipping in the second half of 2017, and that may have led to assumptions that the Apple Watch Series 3 may also be included in the shipment. There are no new reports yet regarding the features of the Apple Watch Series 3, but previous leaks mentioned that it should come with enhanced overall performance in terms of speed and battery life. In addition, the third generation Apple Watch is rumored to support LTE connectivity. If that happens, then that will be a first for the Apple Watch. There will be an Apple event this coming September, where we expect to see the new iPhone 8. If our assumptions are right, the new Apple Watch Series 3 will most likely be officially unveiled alongside it.